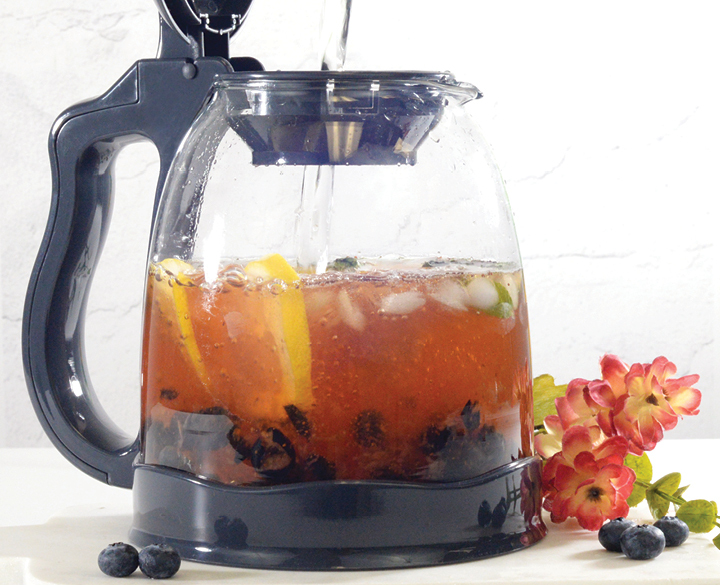 Add 1 Pot of Steeped Tea of Bluest Blueberry, black tea to ParTea Pitcher. Pour 2 cups boiled water and steep for 5 minutes. Meanwhile, add blueberries and sweetener to a bowl and lightly muddle with wooden spoon. Remove steeping basket from pitcher and pour the blueberry mixture over the tea and top up with cold water. Add ice to cool down or chill in refrigerator. Garnish glasses with blueberries and lemon slices. Enjoy!